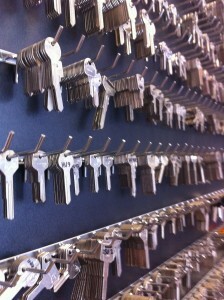 Need a locksmith in Prahran? There are plenty of reasons you’d require the services of locksmiths in Prahran. Maybe you can’t get inside your home, maybe you’ve changed tenancies and need the locks of your home to be changed, maybe you’ve misplaced your car keys and need to get somewhere fast – no matter why you need help from a locksmith, we can help you out at ASAP Locksmiths. Our professional and friendly team have been servicing homes and vehicles throughout the wider Melbourne area for years now. Each locksmith on our team is highly trained and experienced in overcoming a variety of lock and security related challenges. Many have special expertise in a particular application, such as car keys, restricted key systems, or safes. No matter what you need, we’ll be able to give you the expert service you deserve – and we’ll arrive ASAP. We are more than happy to talk with you at 03 9510 3151 and discuss exactly what you need from us. You may be surprised at the variety of technologies and options to suit your practical needs. We’re a family business who understand that easygoing and friendly discussion with our customers is the best way to ensure the best possible experience for us and our clients. Send us an email at sales@asaplocksmiths.com.au if you have any questions about our services. Whether you need locks opened or fitted, keys changed, keys duplicated for your home or vehicle or simply want a set of keys made up for your vehicle, we can help you out. Get in touch with us at ASAP Locksmiths right away.